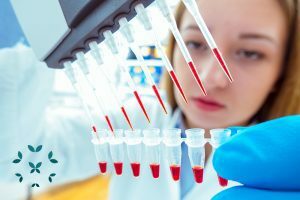 Recently, there has been an influx of research about stem cell therapies being used as a potential treatment for SLE and other lupus overlap diseases. At Kaleidoscope Fighting Lupus, we have received several inquiries regarding this new therapy, and deemed it responsible to clarify (due to its experimental and somewhat controversial nature) what stem cell therapy is, what it does, and how it could possibly be a conversation to have with your doctor at your next visit. Stem cells are immature cells found in humans and other multicellular organisms that are produced in the bone marrow. Stem cells can divide, or ultimately mature, into white blood cells, red blood cells and platelets. When this happens, stem cells act as a “fix-it” system in the body, repairing tissue and helping maintain organ function through cell regeneration. There are two main types of stem cells: embryonic stem cells and adult stem cells. Embryonic stem cells are, as their name suggests, derived from embryos. Mainly from eggs that have been fertilized through in vitro fertilization, then donated to medical research. Adult stem cells are undifferentiated cells (cells that have not developed into a specialized type) found among differentiated cells (specialized cells such as a muscle, liver or heart cells). Unlike embryonic stem cells, which are named after their origin, adult stem cells are still somewhat of a mystery. Scientists over the years have discovered adult stem cells in more tissues than they ever knew existed. Believe it or not, stem cell research began back in the 1950’s when scientists discovered that bone marrow contained as least two kinds of adult stem cells. Hematopoietic stem cells (cells that give rise to all white blood cells, red blood cells and platelets) and bone marrow stromal stem cells or mesenchymal stem cells (cells found in the bone marrow that are unique from blood cells). Mesenchymal stem cells or bone marrow stromal stem cells, are cells located in mature tissue (such as bone marrow or umbilical cords), that the body uses to replace other dying cells over the normal course of life. Since these are developed cells, and not fetal tissue, they do not raise the same limitations and ethical concerns that embryonic stem cells do. Most current lupus research through the LRA and LFA focuses on the use of mesenchymal stem cells. And we will focus on this type as well. Mesenchymal stem cells or MSC’s have been studied in diseases such as rheumatoid arthritis, scleroderma and multiple sclerosis. The use of these types of stem cells has shown minimal side effects for patients, and through small research groups, has been an effective alternative treatment to other harsher immunosuppressants like Imuran, CellCept, Rituxan and prednisone. WHAT IS STEM CELL TRANSPLANT PROCESS? There are three main types of stem cell transplants: autologous, syngeneic and allogeneic. 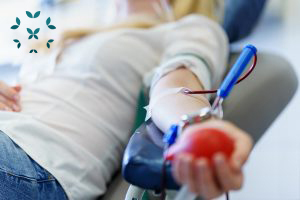 The type a patient receives depends on his or her medical condition and availability of donor. Autologous transplants is when the patient receives their own stem cells and act as their own donor. The stem cells are removed and frozen for later use. After the patient receives immunosuppressants, they stem cells are thawed and put back into the patient’s body. This may be done once or several times, depending on the patient’s medical condition. This type involves a patient receiving a stem cell donation from their identical twin. This type of transplantation is rare, since identical twins are rare. However, because they share the same genes, the chance of the transplant being rejected is less. Allogeneic transplants are stem cells received from a brother, sister or parent or another volunteer whose cells are a “match.” The matching process or “tissue typing” is done by examining a person HLA (human leukocyte antigen), a protein found on the surface of the cells. The more HLA markers the donor and patient have in common, the more chance the transplant will be successful. There are promising potential therapeutic benefits to stem cell transplant therapy for lupus patients who have severe lupus that either, cannot tolerate traditional lupus immunosuppressive therapies, or have tried and failed to improve with such therapies. A 1997 study by the above mentioned Dr. Burk at Northwestern University, was the country’s first stem cell transplant specifically for lupus. It included a small group of 50 participants. In this study Dr. Burk and his team concluded that if done at an experienced center, stem cell transplant may be performed safely and result in disease stability, improvement and even remission in the majority of patients. There are promising signs with the use of stem cells with regenerative medicine and lupus. Those with kidney disease or nephritis may particularly benefit from stem cell transplantation therapy. 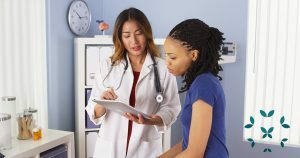 One study in particular showed that lupus patients remained symptom free or improved continuously after stem cell transplantation therapy. Autologous adult stem cell transplantation has been a successful therapy in cardiovascular disease, which is also reassuring to lupus patients since cardiovascular disease is the number one cause of death with SLE. One of the most serious risks involves the use of anesthesia during the bone marrow extraction procedure. Anytime anesthesia or sedation is used, there is risk involved. However, the procedure is short, and only a small amount of bone marrow is removed, leaving the patient to feel a little stiff or sore for a few days. Another risk is infection during the “conditioning” process from the immunosuppressive and chemotherapy given to weaken the immune system before transplantation. The medications given to stimulate the stem cells may be difficult to tolerate as well. Some symptoms include muscle aches, headaches, fatigue, nausea and vomiting. If you are not receiving an autologous transplant, there is always a risk of rejection. Graft-versus-host disease is another risk as well, where the donor cells can actually attack the recipient’s cells. It is important to talk to your doctor openly and honestly about your questions and concerns of every new therapy, especially one as experimental as stem cell transplantation. We, at Kaleidoscope Fighting Lupus, understand that there is no “one size fits all” therapy for lupus. But, by understanding and being aware of the newest research and possible treatments, you can make that shared decision with your doctor(s) to find the best possible treatment option to fit your unique needs. For a great website on more information on stem cell therapy visit here. *Note: While researching this blog, I became aware that one of our online support group members started stem cell transplant therapy. She graciously agreed to share her experience with us. I will keep you updated on her progress and experience along her journey.